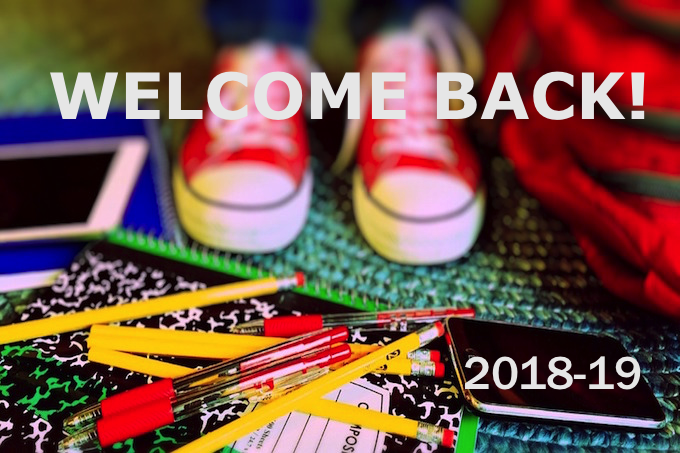 Welcome to the 2018/2019 school year at Vernon Christian School! All you need to know to get your school year at VCS started on the right foot is here. Not sure how to access our communication tools? There won’t be a test… but it’s important that our parents plays an active role in their child’s education. Drop by the school office for a quick online tour of the resources we use to communicate with our students and parents. It is vital that our VCS community – parents, staff and students, plays an active role in keeping informed of the day to day at VCS. Throughout the school year staff, will use a variety of means to communicate with the home regarding student progress and other issues affecting their learning. Online platform which provides real-time insight into your child’s learning and an understanding their progress. Take time to familiarize yourself with MySchool as it will be your connection to reporting periods, permission forms and academic progress. Our website is the to go to place for parents and students. Check back regularly as we update our website weekly. Our website contains upcoming events, important dates, links to the Parent Handbooks, information about the school, news and event info, calendar and staff/board/committee directory are on this informative web site. Teaching staff or Admin will send emails to the homes of students as the need arises. These emails will provide an opportunity to discuss issues of concern or highlight student accomplishment and may require a response. Show and share of school and student highlights. If you care… please remember to comment and share. Follow us at @VernonChristianSchool For all Official events and news. Follow us at @VCS Community To connect with parents, grandparents and alumni of VCS. Here parents can share and ask questions about everyday life at VCS. From from time to time you may receive an invite to help out, fill out a survey or support a school initiative. To maximise efficiency and honour the time of staff/volunteer please provide a timely response to the requests. Yes parents, it’s that time of year again! School begins for grades one to twelve on Tuesday, September 4 at 9 am. The day ends at 3:00 pm. Please come ready with your school supplies, lunch and a warm friendly smile. School supplies for Kindergarten to grade 3 are provided. Help keep traffic moving – do not park in drop off/pick up lane. Park only in designated spots. Please drive in a slow and cautious manner. Parents are asked to park in the upper lots and walk down the hill to the EC – please do not drive down the hill unless necessary. Students must be signed out by parent during school hours and signed in upon return – please see office. The VCS Dress Code press to read details. School begins on Tuesdays and Thursdays at 9:00 am to allow for weekly staff professional development. For students who need to arrive early there is supervision from 8:00 am in the EC gym. Back to school EC chapel for grades 1-6 at 2:15 on the first day of school, Tuesday September 4th. Parents welcome to join us! Plan to attend the Back to School Ice-Cream Social on Wednesday September 5 from 6-8 pm outside the EC Gym. Jitters Cafe … Welcome all new Kindergarten parents! Refreshments and friendly faces will be waiting for you. Hosted by Parents In Action team on Wednesday September 12 at 8:30 am in the EC Library. Grade 7 Parent Info Session – Wednesday, September 12 at 3:15 in the SC in room 117. Need a ride? Press here for info about VCS Bus Service – room for more! VCS Society Meeting: Biblical sexuality, findings and recommendations – led by the VCS Education Committee – Monday, September 17th 7-8:30 pm at SC. Pizza days will return!- more details to come. HS and MS Retreat details & permissions will be posted on mySchool – check your email. As adults are expected to follow a dress code in the working world, so too, we believe VCS students’ adherence to a specific dress code prepares them for a transition into future career environments. Above all, the leadership of VCS desires to encourage an attitude in every student’s heart to dress in a way that pleases the Lord. Our VCS Dress Code Policy states expectations of appropriate dress, as well as clear consequences for failure to follow the VCS Dress Code Guidelines. In anticipation of parents purchasing new apparel for their children for the upcoming 2018/2019 school year, please familiarize yourselves with the policy and prepare your children’s wardrobes for the upcoming year accordingly. For easy access here is the link – VCS Parent Handbook. For future reference, the Dress Code Policy can be found in the VCS Parents Handbook listed in the ‘Quick Links’ list below, on the bottom of the website page. Please take the time to familiarize yourself and your children with the updated dress code expectations and responses and annually the latest version of the parent handbook. Thank you for your support in helping to make VCS a God-honouring school in this important area. Wondering about the VCS bus route? We currently have 2 routes – one covering Armstrong and the other for the Vernon area. New to this year, we have a part-time ridership program available, please see below for costs. The VCS Administration team is looking forward to meeting you at the New Parents Orientation on Thursday, September 27 from 7 to 8:30pm. It is a requirement that at least one parent representative from each family be in attendance. This evening provides our new parents with valuable VCS insight as well as answers to your pressing questions. The NPO is an important foray into life at VCS – your attendance is a priority. We are a school community that prays together and for each other. If you have a prayer request please forward it to our VCS prayer team. Be as anonymous as you like… Visit the VCS Prayer Team page on our school website – press this link to check it out. For future access, please find the link to the prayer request page under the ‘Quick Links’ list located at the bottom of every page at www.vcs.ca.